Media giant 21st Century Fox has announced its executive chairman, Lachlan Murdoch, will take over from father Rupert as chairman and CEO of the proposed “new Fox” business. The new business will be formed once 21st Century Fox completes the deal to sell most of its entertainment assets to Walt Disney Co., with Rupert to serve as co-chairman of the new Fox, alongside Lachlan. John Nallen, 21st Century Fox’s chief financial officer, will take a broader role as new Fox’s chief operating officer. The new Fox will be home to such iconic branded properties as Fox News Channel, Fox Business Network, Fox Broadcasting Company, Fox Sports, Fox Television Stations Group, and sports cable networks FS1, FS2, Fox Deportes and Big Ten Network. 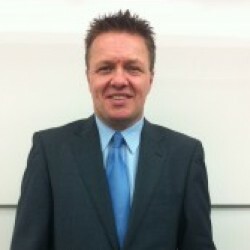 Commenting on his new role, Lachlan said: “We have worked through the winter ‘standing up’ a reimagined independent Fox. The strengths of the new company – a leader in news, sports and entertainment – present truly unique opportunities. “I am also personally very pleased that John has agreed to take on the role of chief operating officer, and together we look forward to making further announcements as to the management and structure of this new Fox as we get closer to closing our proposed transaction with Disney. Its been a big week of news surrounding Lachlan Murdoch, with NOVA Entertainment’s latest financials revealing its executive chairman has been payed more than $53 million in dividends from the radio network over the past two years. NOVA Entertainment’s latest financials revealing its executive chairman has been payed more than $53 million in dividends. No he’s been PAID ! !